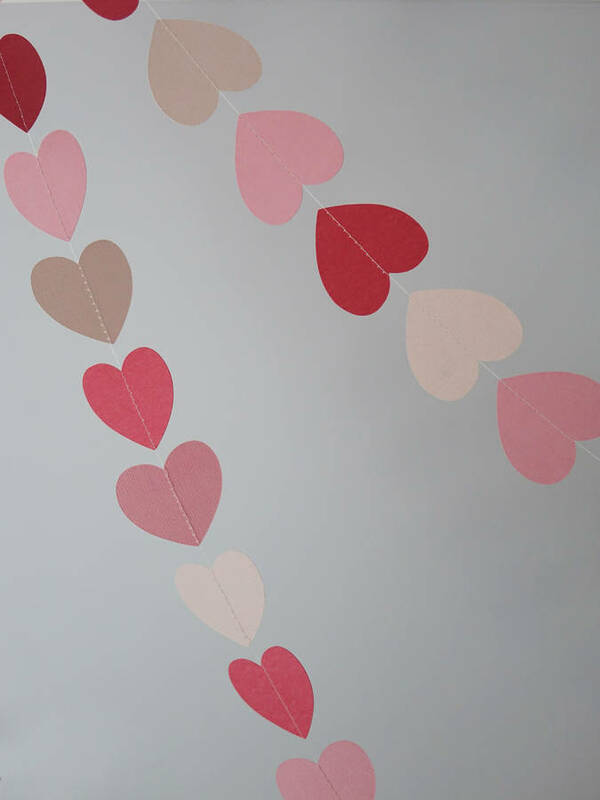 A gorgeous heart garland, handmade from quality textured card and machine stitched together. 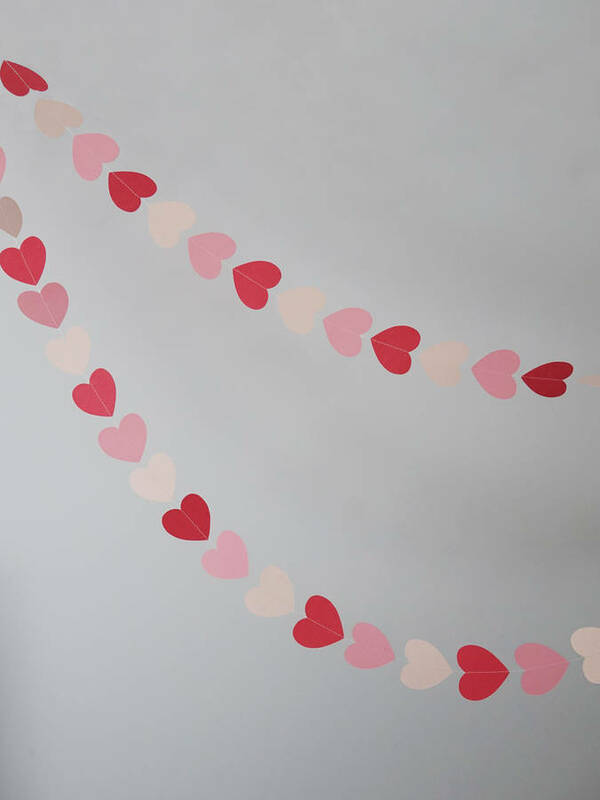 Perfect for your valentine these heart garlands are hand made from lovely textured card in our most popular pretty pink hues, ballet, candy and bubblegum. Use them to decorate your parties, celebrations and weddings or string them around the house for a delightful decor update. Each garland measures approx 2.5 mtrs long.